The latest addition to the Woods family came last week with the arrival at their Orlando, Florida, home of first son Charlie. 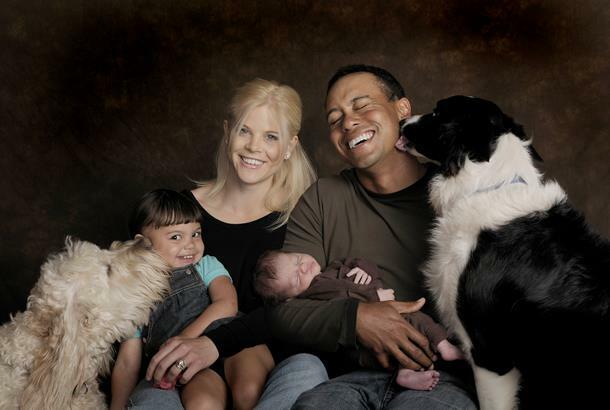 Woods and Swedish wife Elin were already the proud parents of 20-month-old daughter Sam. Said Tiger, poised to make an eagerly-awaited return to the game after underdoing knee surgery following last year's US Open success: "Both Charlie and Elin are doing great and we want to thank everyone for their sincere best wishes and kind thoughts. "Sam is very excited to be a big sister and we feel truly blessed to have such a wonderful family." It remains to be seen whether Charlie proves a chip off the old block. Only time will tell. But one thing is for sure: he's got one heck of an 'old man' to look up to!